After a merry December filled with an abundance of cookies, cake, candies, cheese, chocolate, champagne, caviar and even treats that don’t begin with a C, I’ve been more than ready for a fresh start in January. But barely did we come upon a new year when a nasty virus came around, knocking me down for days. And so now it is the first full WEEK of the New Year and we will just have to start again, again. Because now my desire for healthy (but of course delicious) food is not only fueled by concern for my post-holiday waistline but also so that never again in 2013 will I have to flop around my bed feeling like poor Lavinia in Downton Abbey suffering from a bad case of the Spanish Flu. Have you seen the new season by the way? Delicious! Also delicious? 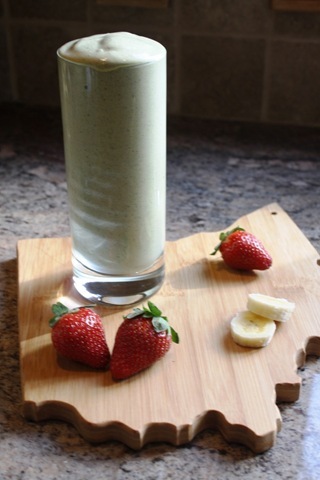 This Berry Green Reset Smoothie. You cannot taste the spinach, so it’s only really there for nutrients. If drinking green totally freaks you out, you can leave it out. But I promise it tastes the same! I prefer all of the fruit to be frozen as it gives this smoothie a delightful milkshake consistency but that is also, up to you. 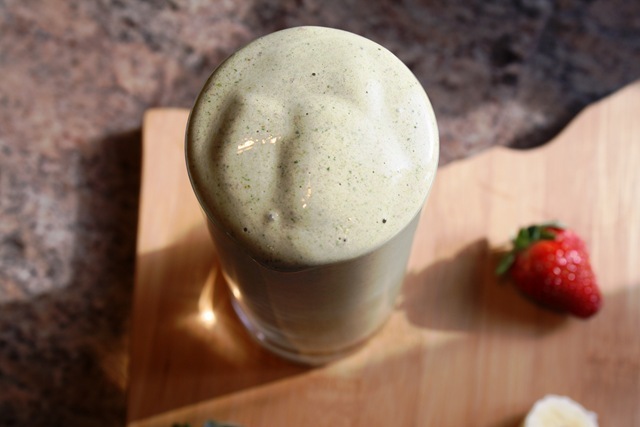 Pop all of your ingredients into a blender, top with the lid and blend at high speed for a minute or two. At first, it may seem like there’s not enough liquid to get things moving but keep blending and things should come together nicely. If necessary, scrape down the sides of the blender with a spatula and add a drop more milk.